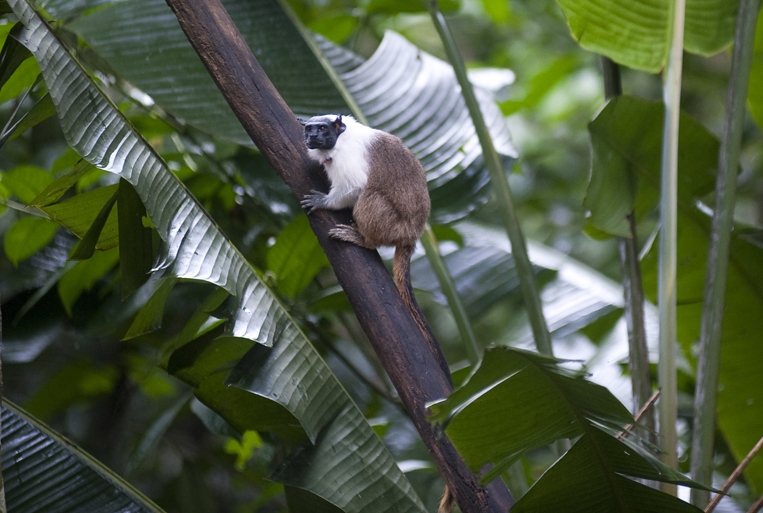 The Pied Tamarin is an endangered primate found only in the rainforest around Manaus, Brazil. Their habitat is shrinking as the city grows and they are being trapped in isolated patches of forest. Photographed on Friday, March 16, 2012.